The photos from your wedding will be something that you cherish for the rest of your life. 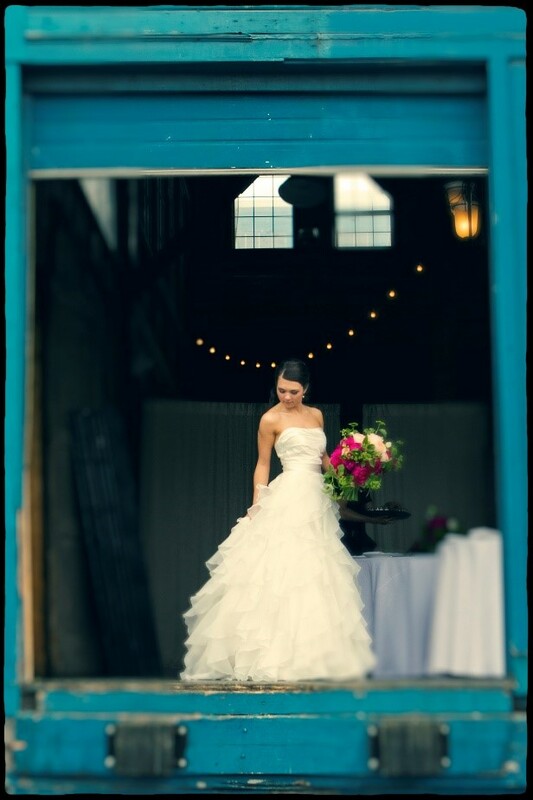 Tasha Owen of Tasha Owen Photography shares her insight on photography for the big day. I was standing in my yard with my 3 Welsh Corgis when the Sanitation worker said his “Fiancé loved Corgi’s.” He got back in his truck, and I thought about it for a minute. I got in my car, chased him down, and told him I was a photographer, and that I would love to photograph his wedding. Lo and Behold… after that first wedding I was completely hooked. 580 weddings later I am still thrilled to be in the wedding industry and I love photography more today than I did when I started 35 years ago. Are there any recent photography trends that you’re especially excited about? The trend I embrace is authenticity. The images should reflect the vision of the Bride and Groom. No matter what pose, or what background, that it all suits them. Now that isn’t to say it always has to be a completely natural setting, if it feels right to a couple to play with a Film Noir style, I say let’s play! I need to have the technical knowledge and vision to pull those ideas together. To know where I can direct and when I need to step back and be more hands off. It’s a wonderful dance, to be able to focus on the day and bringing those moments to life in the camera- that is the trend that I feel becomes timeless. 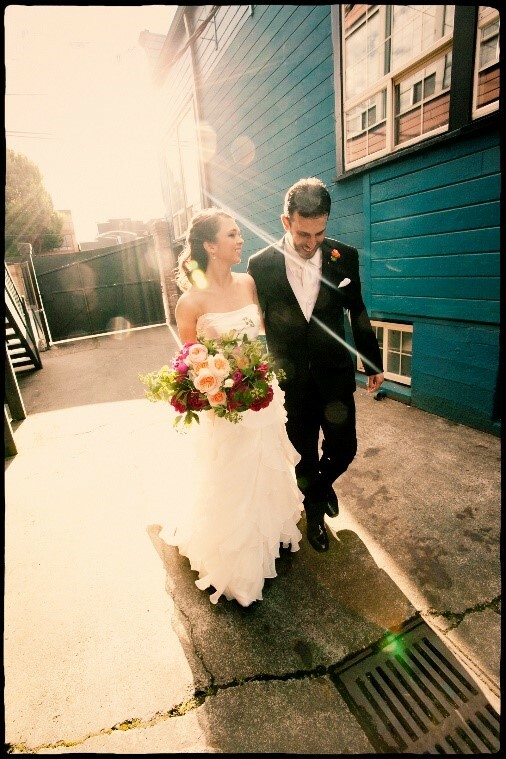 What’s your favorite part about being involved in a couple’s big day? Oh boy, there are so many. Being with the bride and her father before she walks down the aisle. I have heard such beautiful things at those moments. Or the moment when the groom turns around and see’s his bride for the first time during their reveal moment. But probably my favorite part about being involved in their day is watching. The looking through my lens and seeing all those moments that are so vivid they take my breath away. A laugh, a kiss on a cheek, a tear, a stolen moment between parents… all these and more remind how fleeting life is and how important it is to capture it… if but for a second. Are there any specific moments in your career that stand out as something you’ll never forget? We were at the Rosario Resort on Orcus Island when we received word that Tom’s mother had passed away. It was an hour before we were to begin a wedding. It was a small outdoor wedding on the lawn overlooking the water. The skies were gray and there was a bit of rain and wind. The young couple stood up there under this huge tree and said their “I do’s”, and suddenly it all seemed so absolutely perfect to me. Life made perfect sense. My wonderful mother-in-law would have appreciated the circle of life I was feeling at that moment. The sweetness of grief, and the joy of new beginnings. I cherished that moment, and I was so very honored to be a part of ceremony and that young couples day. I never shared with them what had happened, but their kindness and how they included us in their day meant the world to us. The feelings of that day stay with me even now and I am ever so grateful. You have obviously experienced many weddings. Any advice for a couple just starting the planning process? Talk to each other about what is important. If things start to feel like a struggle in the planning, take a step back; take a look at your expectations. Don’t wear yourselves out! I know… easier said than done. Ask for help when you need it, and build a good team of vendors. On your wedding day, know you have done all you can, and everything is really perfect no matter what. Because at the end of the day, you two get the best part of all… each other.